Don't wish anyone "Happy International Women's Day". 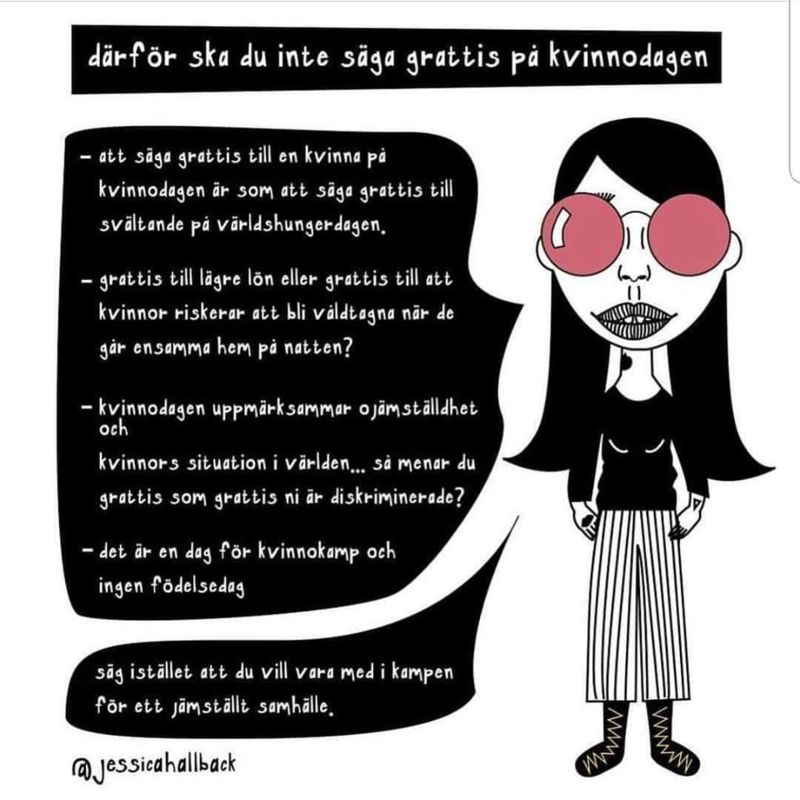 Image with text in Swedish about the same thing. I don't have spoons to translate. - To say congratulations to a woman on Internation Women&apos;s Day is like saying congratulations to starving people on World Hunger Day. - Congratulations with lower pay or congratulations with womens risking being raped when they go home alone at night? - Internation Women&apos;s Day puts focus on inequality and women&apos;s situation in the world... so do you mean congratulations with as in congratulations you&apos;re being discriminated? Instead say you want to join the fight for an equal society.